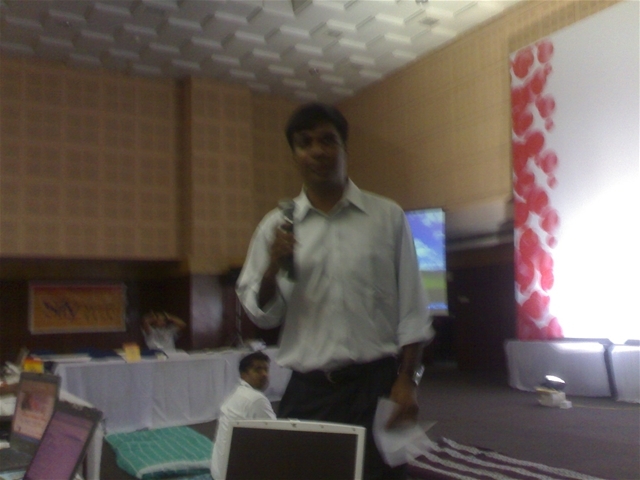 The conference kick starts with Kiruba speaking about the basic rules of unconference. This is not a conference, it is not hallways but the main floors that are the most interesting place in an unconference. No speakers but a discussion leader. If you are the so called audience feel free to be rude , interrupt the discussion if you want to. Nick from Underdog pictures doing a documentary on Jimmy Wales and wikipedia, gave a quick introduction. 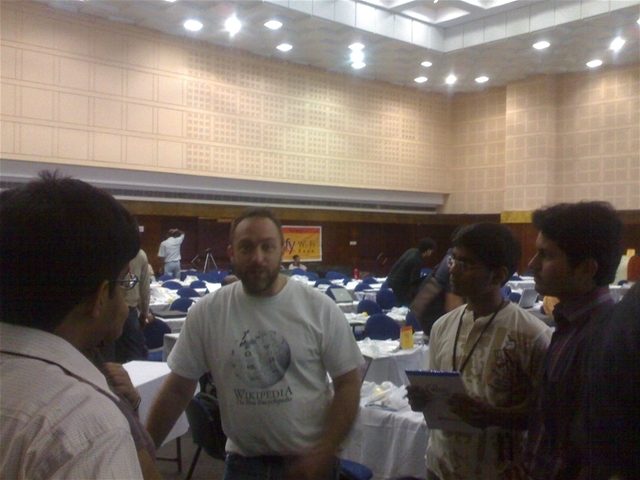 Another quick introduction from Ganesh K , an admin in wikipedia who posts a lot of content related to India. So why not open content. because of the tight academeic nupedia process. Guide the chaos to a simple vision. Search is a fundamental part of the infrastructure of the internet and therefore of human society as a whole. Thus open source search is very important, transparent, all algorithms published, testable, researchable. Dozens of questions of great questions fielded with great clarity & humility, I just could not keep up with the pace of the questions. I’m glad we meet each other, even after the unconference.